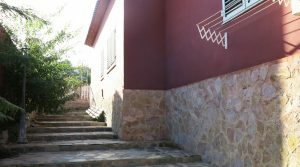 This is one of our urban villas for sale Valencia and is nestled on a popular urbanisation, on a corner plot just outside the busy town of Monserrat. 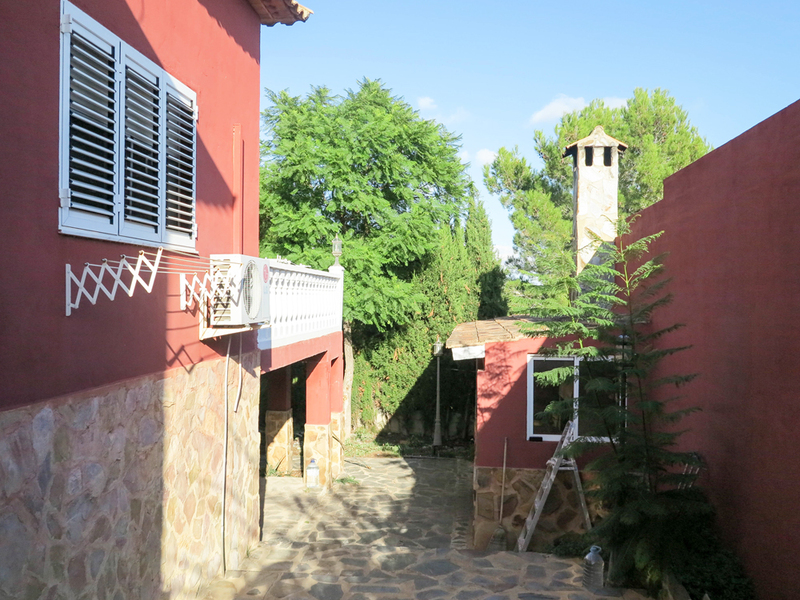 Its neighbouring villas are equally well-presented, all benefiting from mains services and street lighting. 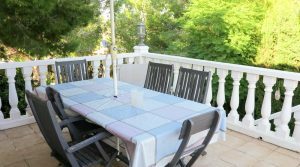 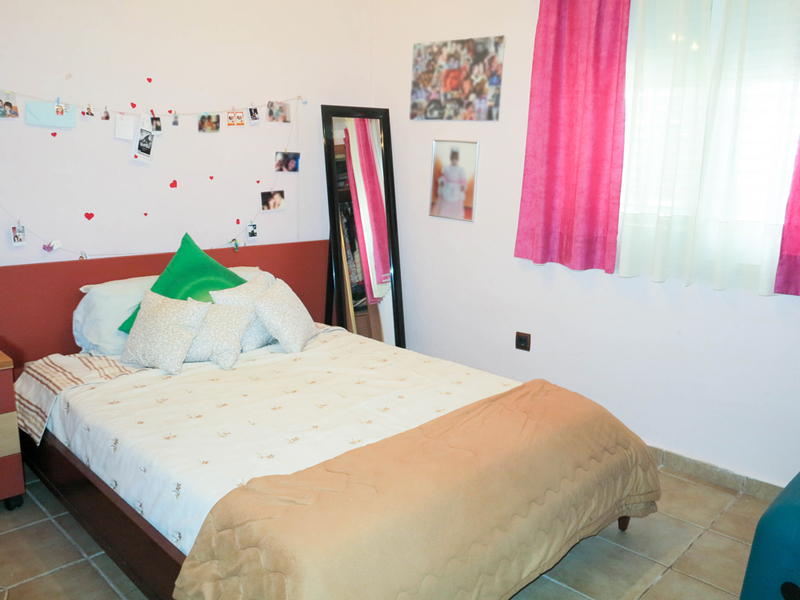 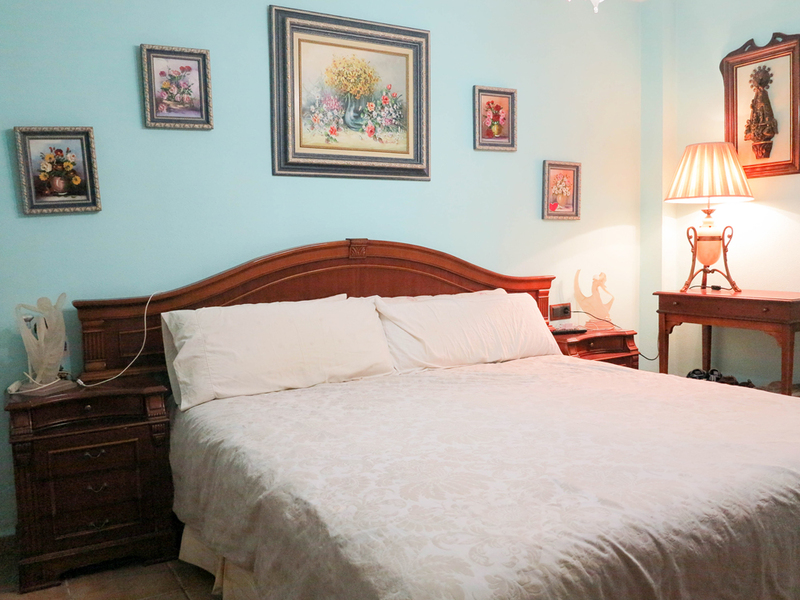 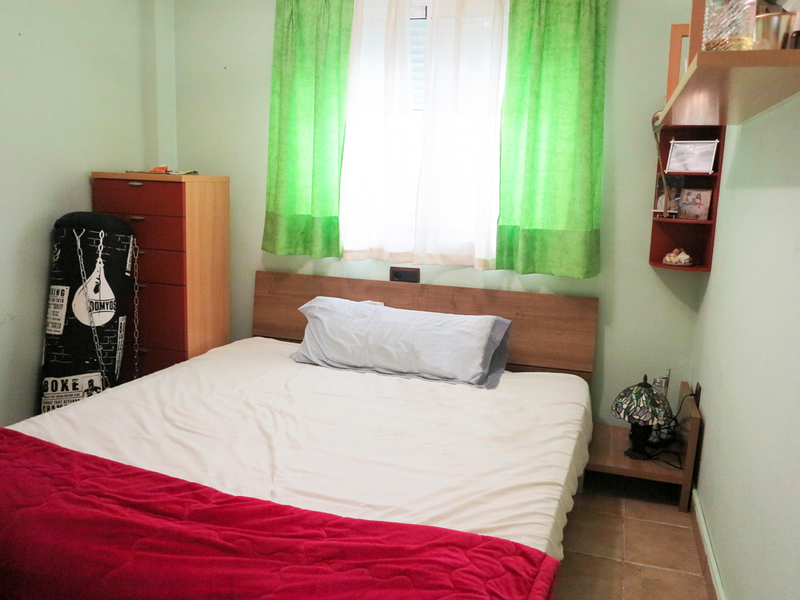 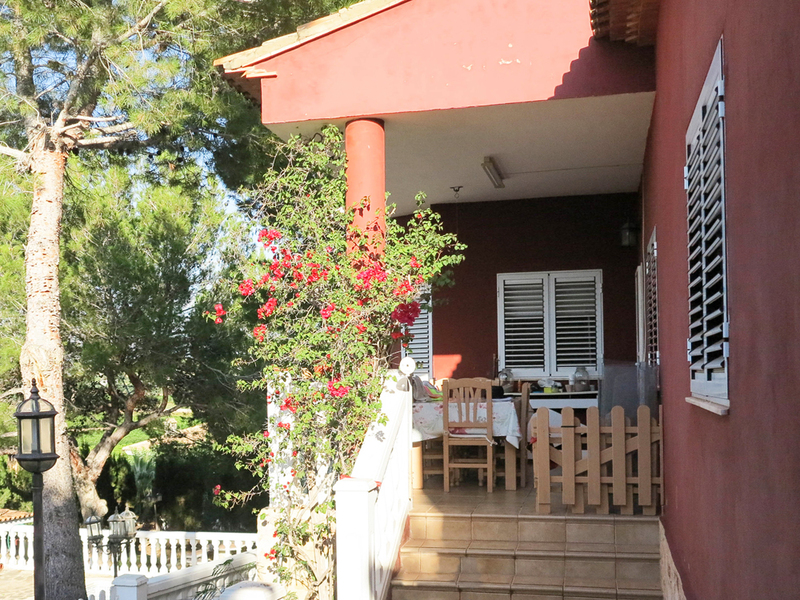 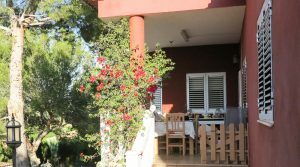 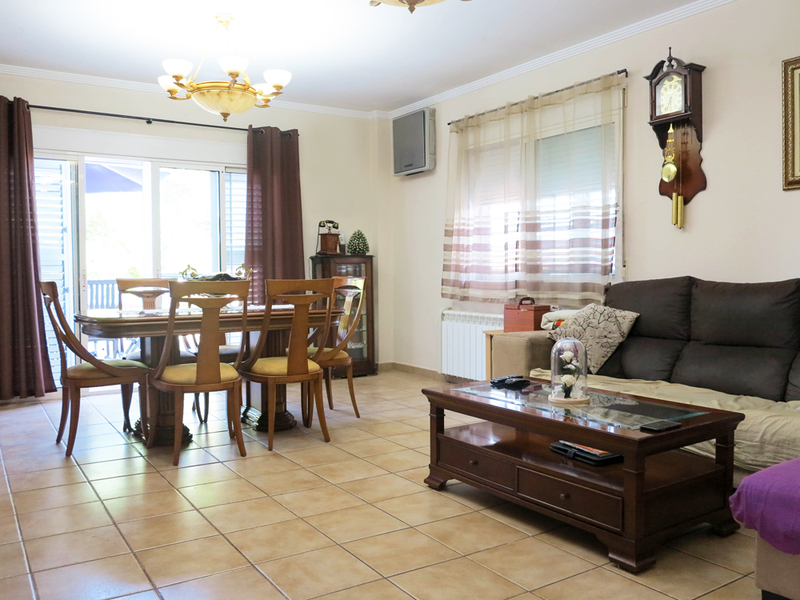 There is also a tennis Court, children’s park and school bus pick up point, a short walk away from the villa. 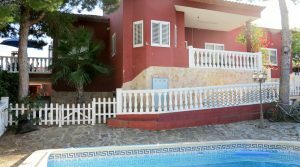 This property has been built to a very high specification, using quality building materials throughout. 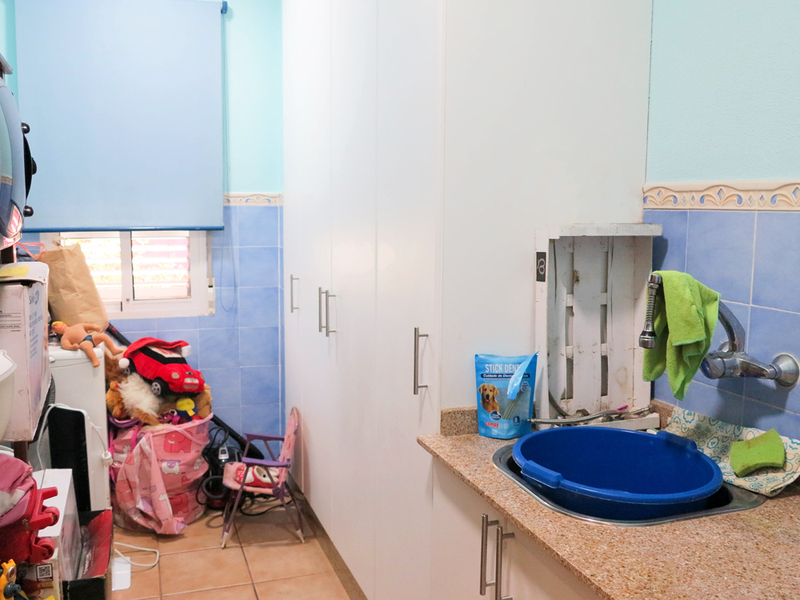 The windows are double glazed with security locks and roller blinds. 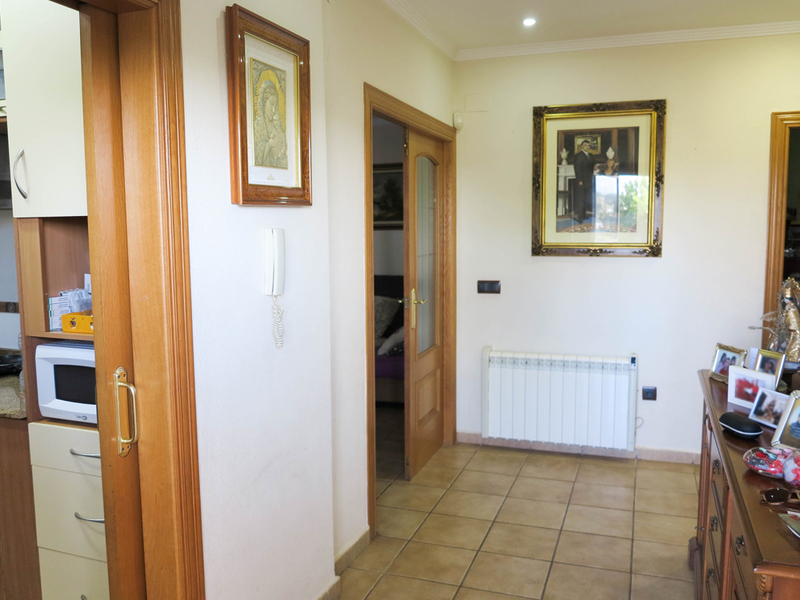 The heating is via low consumption electric wall-mounted radiators with the addition of air conditioning throughout. 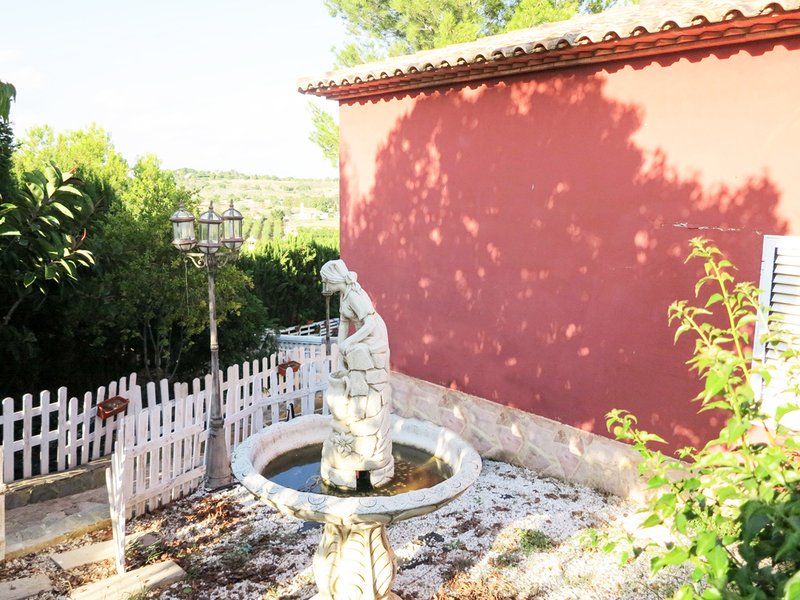 The garden has a fully automatic irrigation system and a state of the art outside lighting system. 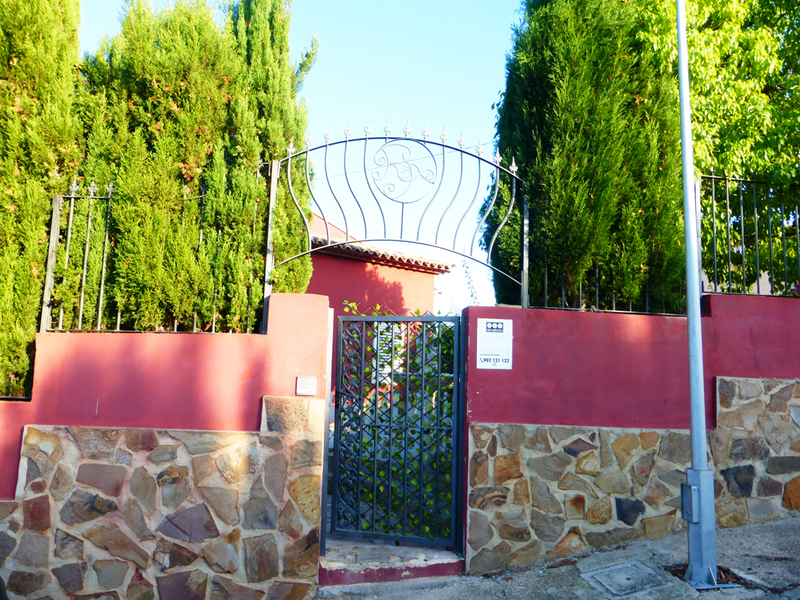 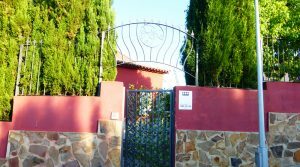 There are two wrought iron gates that access the grounds of the property, giving it an impressive façade. 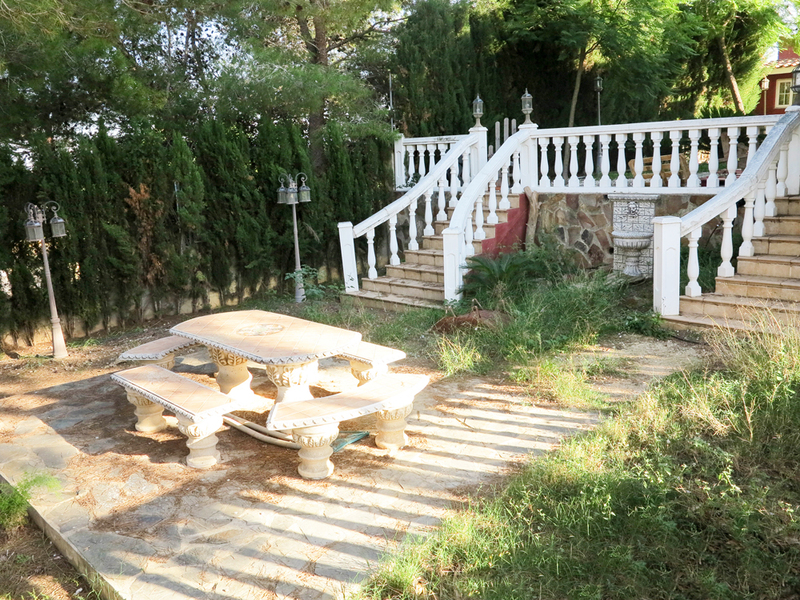 The driveway and all pathways around the mature garden are laid with stone slabs. 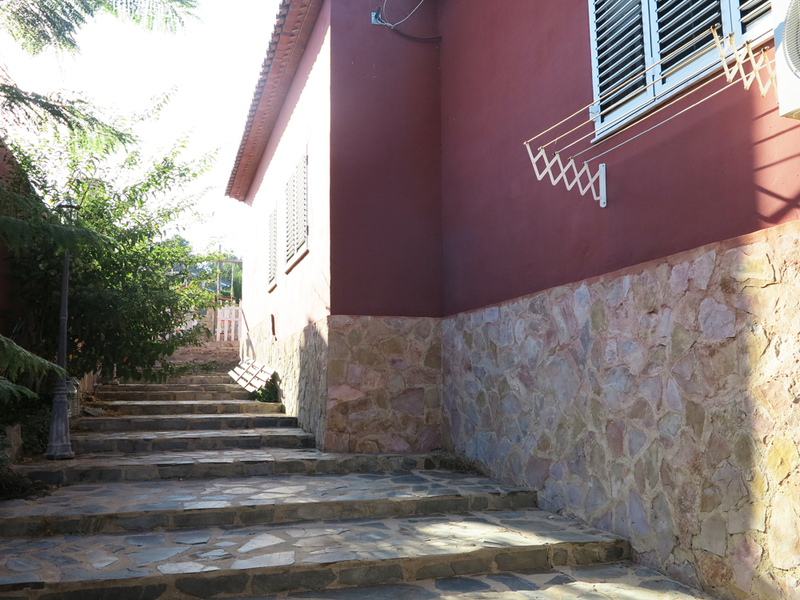 From the pathway, there are steps that take you up to a covered terrace with views across the surrounding countryside. 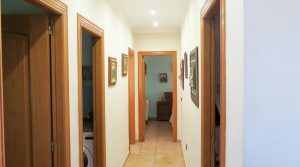 You enter the villa through a UPVC door with a triple lock system, into the ‘L’ shaped hallway that flows through the house to each room with high-quality floor tiles throughout. 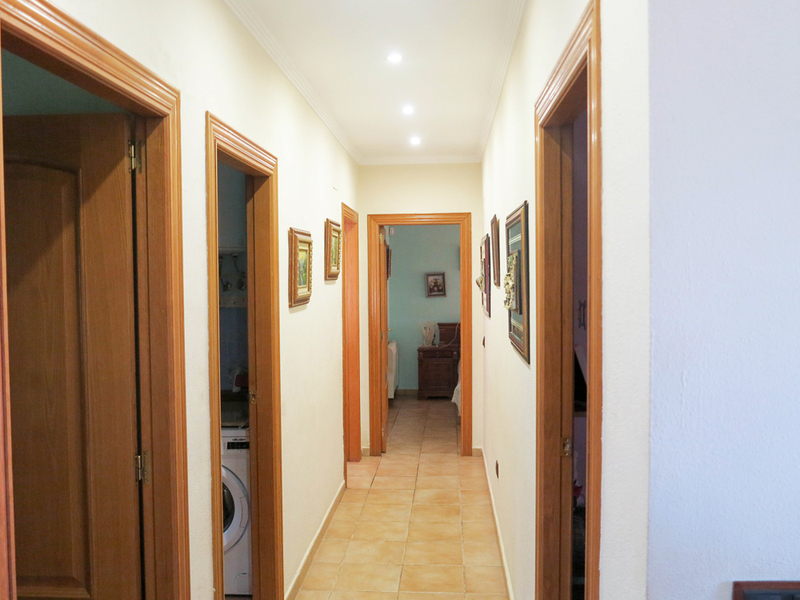 Entering the large lounge/diner through double doors, this light, and airy room has air conditioning and patio doors entering onto a terrace with views over the garden. 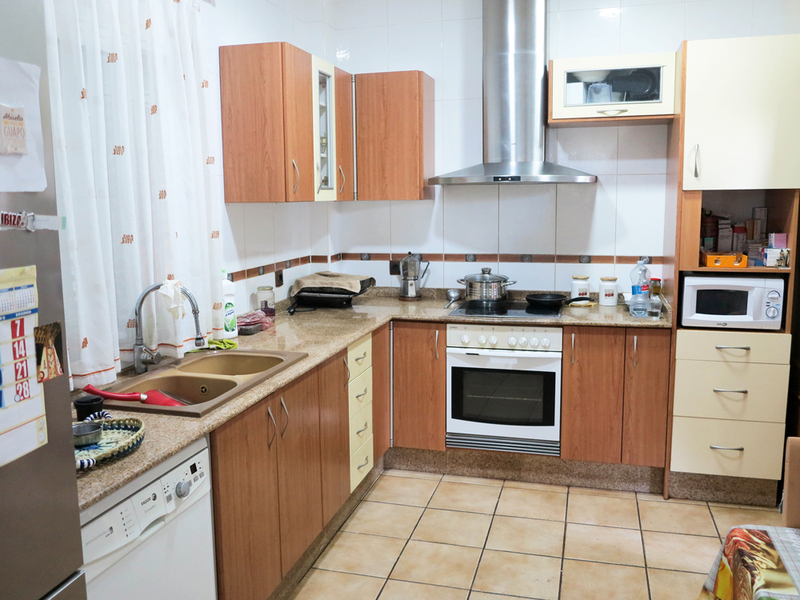 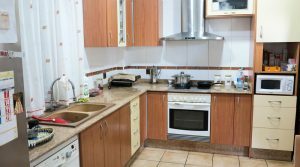 The kitchen is fully fitted with plenty of cupboards, good quality marble worktops, white goods, and a dining area. 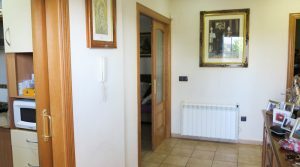 There are three double bedrooms that have large windows allowing in plenty of natural light and have fitted wardrobes in two of them. 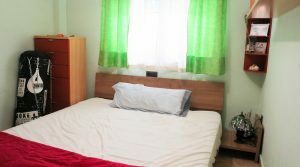 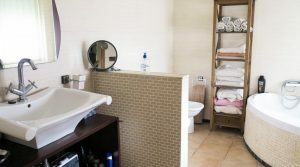 The master bedroom has a large walk-in wardrobe and a modern fully tiled en-suite. 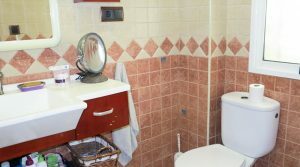 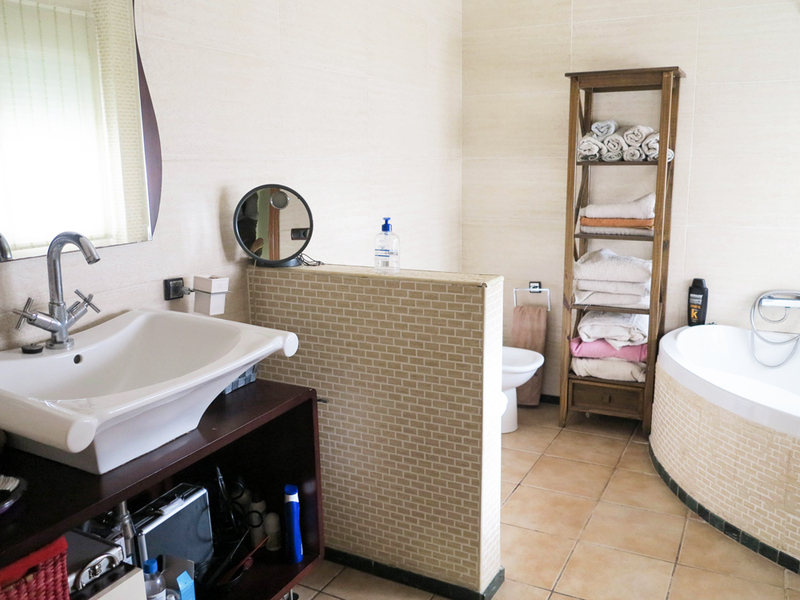 The family bathroom is modern, fully tiled complete with a corner bath. 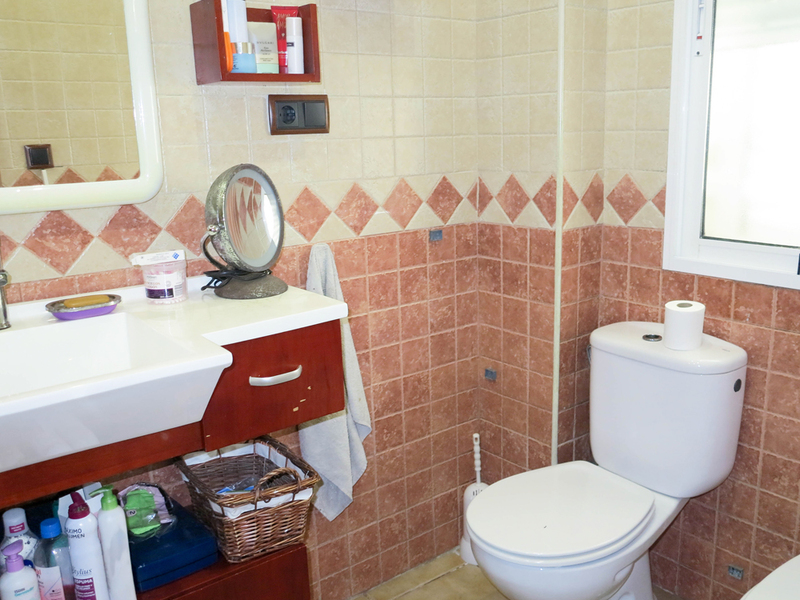 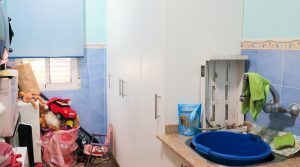 There is also a utility room with fitted cupboards. 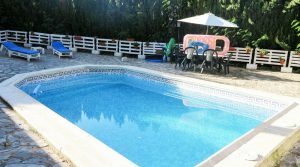 Outside, there is a large terrace with an 8m x 4m swimming pool with a filter and pump system located within a large, tiled storeroom. 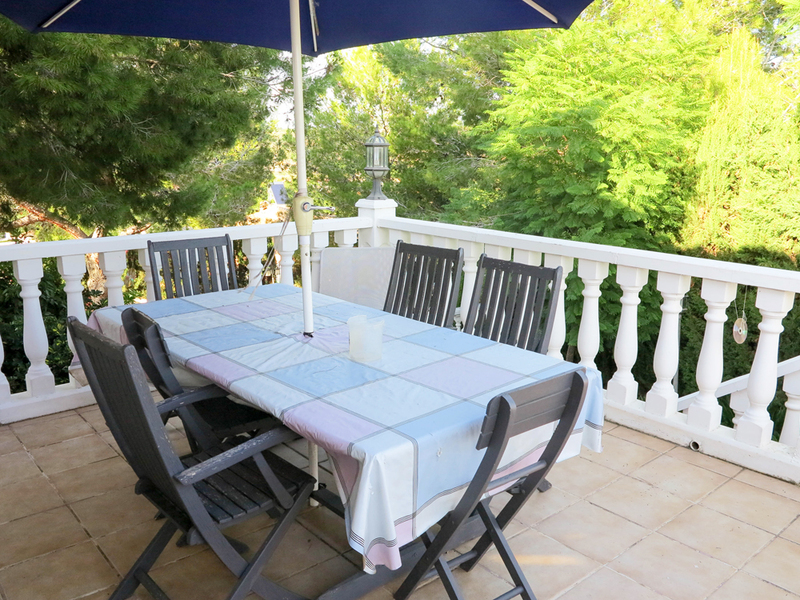 Adjacent to the pool is an outside dining area. 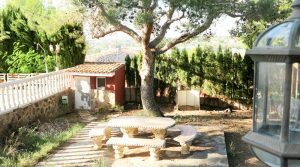 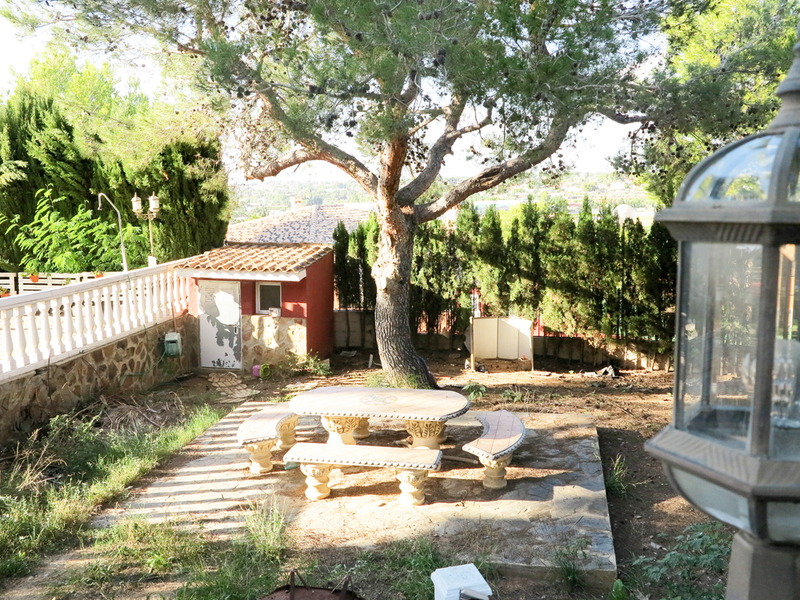 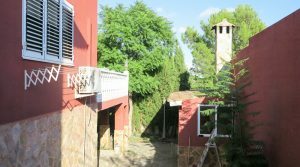 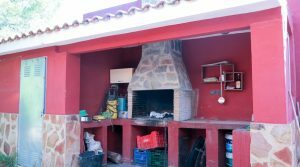 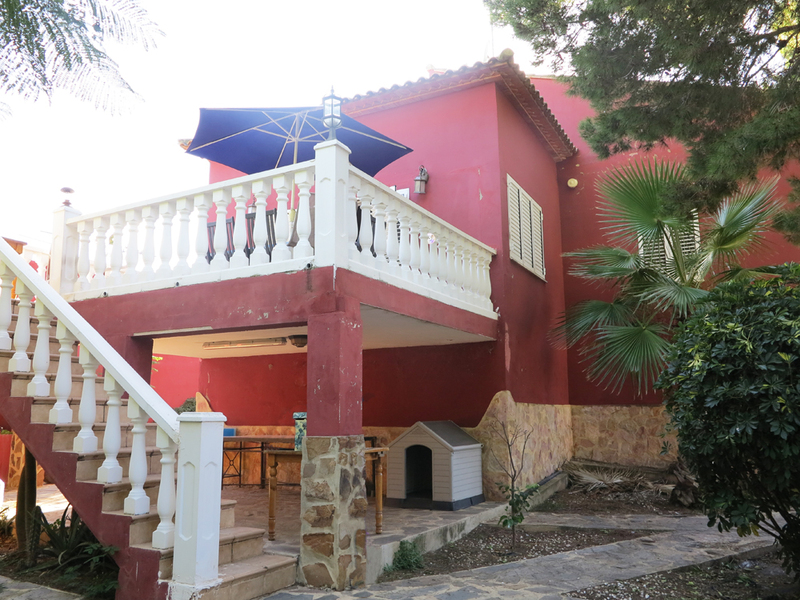 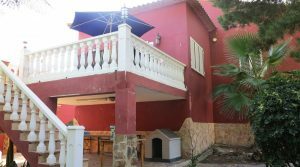 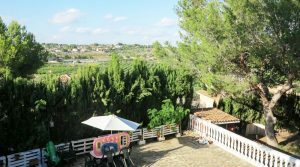 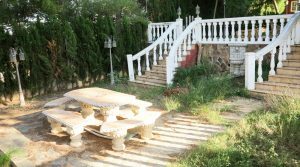 The property also has a large under build storeroom, a paella house and barbecue area. 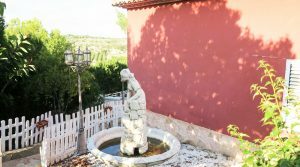 The garden has mature trees with plenty of privacy and a large variety of plants all connected to an irrigation system. 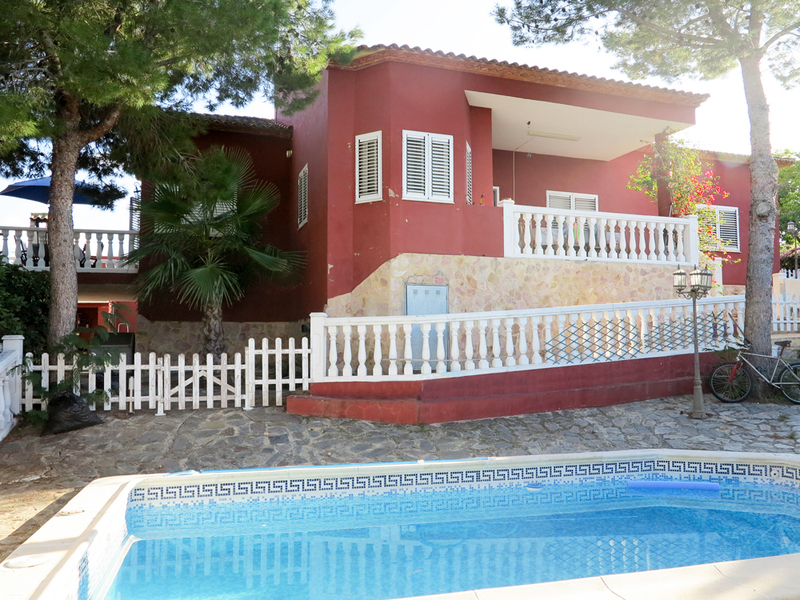 This high specification villa has a lot to offer, if you appreciate quality it’s a must see property. 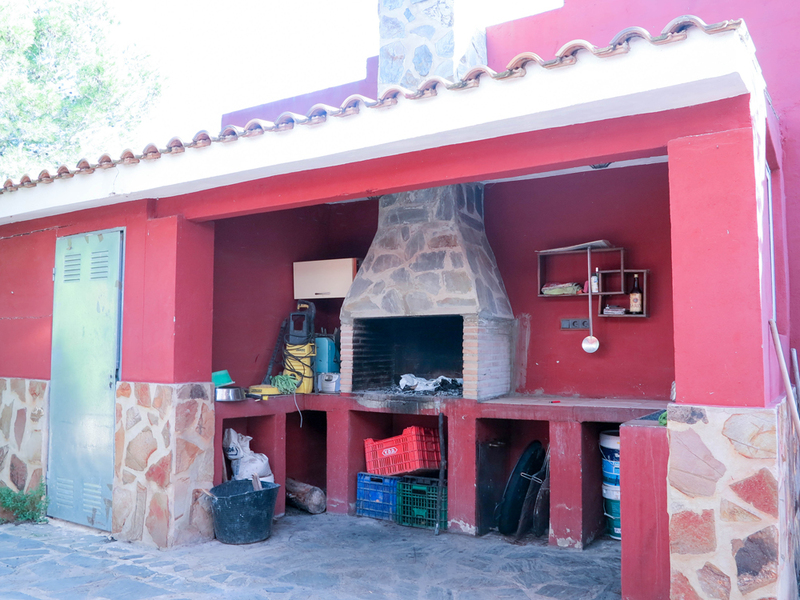 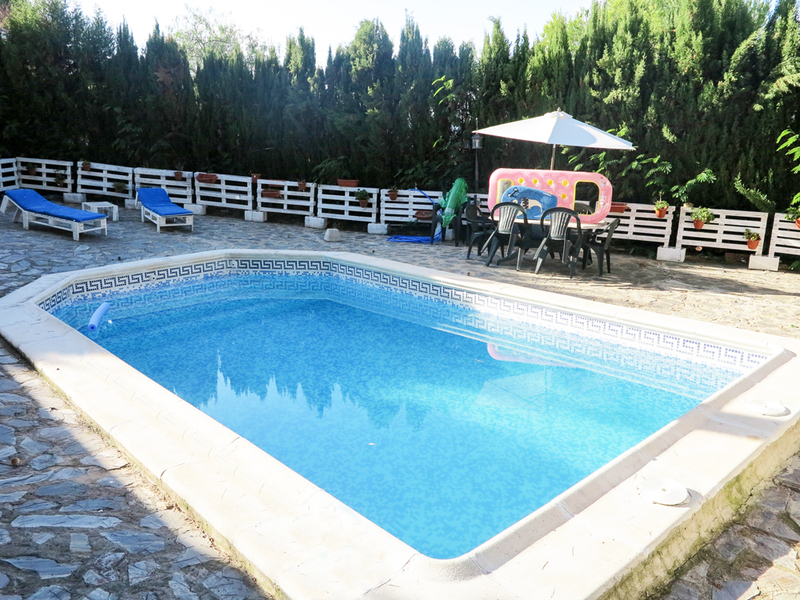 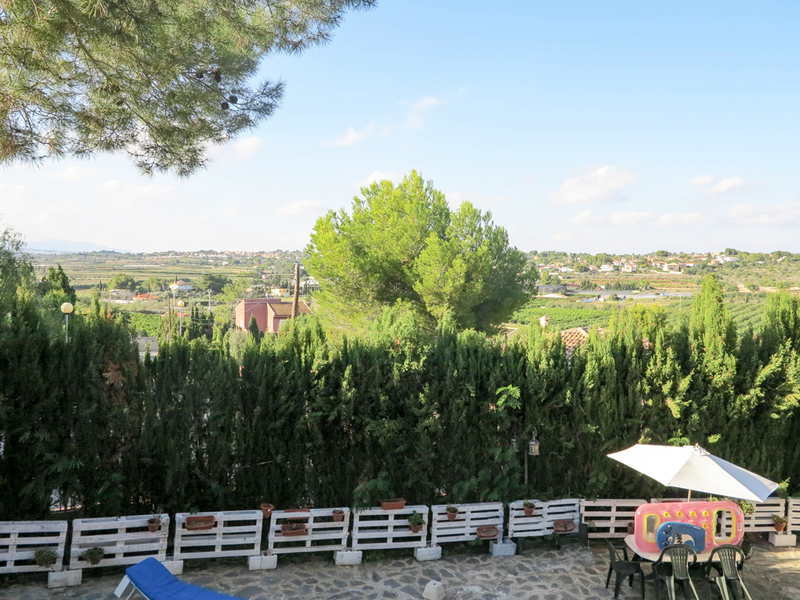 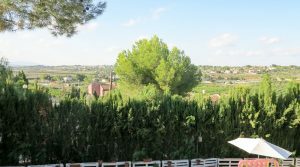 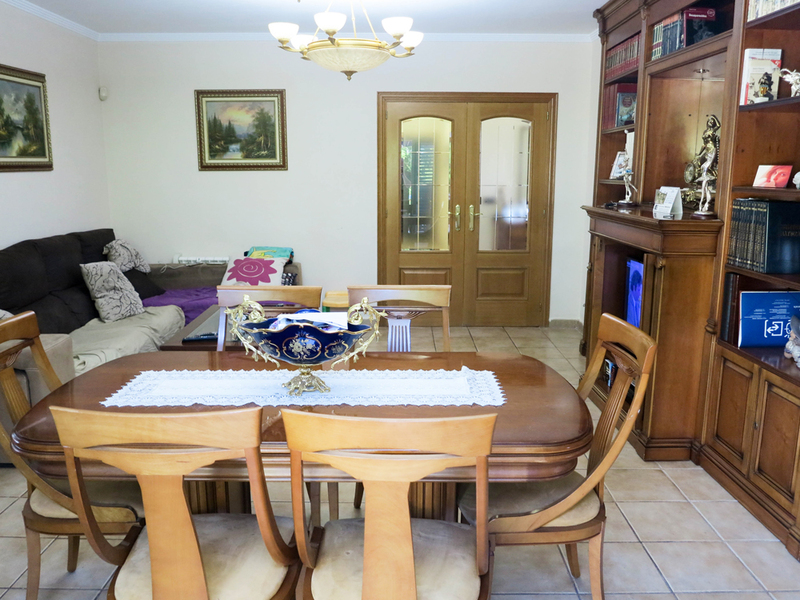 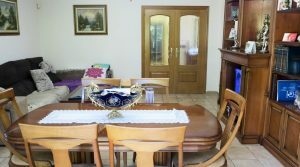 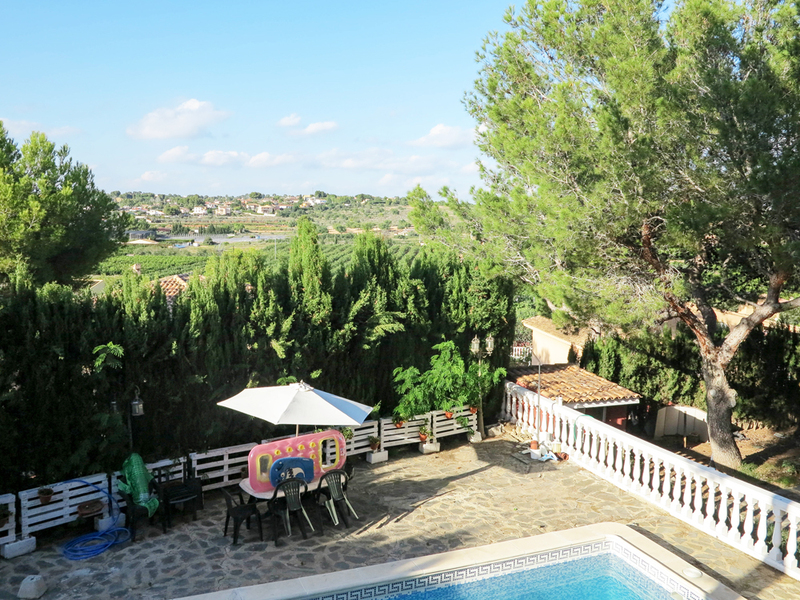 Recently having been reduced by 35.000 Euros, this is true Hot Property.